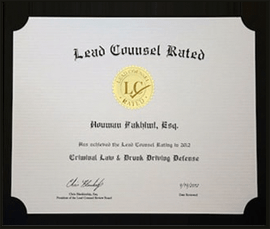 When you need an experienced team of attorneys who are knowledgeable in the areas of criminal defense, employment litigation or civil rights and injury trials you need only to call one office, Fakhimi & Associates. 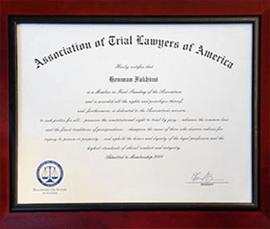 We have spent the past two decades honing our skills at trials and litigation and our results show our dedication to our craft. We have litigated cases in courts of California and Nevada and at any given time have a number of active cases in most Southern California Federal and State courts. Our Orange County criminal defense lawyers have handled serious felony cases, three strike cases, and misdemeanor cases in all major Southern California courts and are well known in Orange County, Riverside, San Bernardino and Los Angeles courts. Furthermore, we have handled hundreds and hundreds of cases involving the most complicated areas of employment law such as sexual harassment, discrimination and wage and hour suits in state and federal courts. Our Orange County employment law lawyers are tough, dedicated and experienced. This website is simply an introduction to our criminal defense and employment law attorneys, please contact us directly to learn more about what our experienced federal and state trial lawyers can do for you. You can visit avvo.om to see our reviews or you may visit our site dedicated to Orange county criminal law to view some of our case results. When facing serious criminal charges in the federal court or if you have wrongful termination cases based on federal statutes call us for a free consolation. 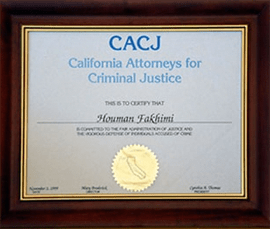 Our criminal defense team at Fakhimi & Associates understands the intricacies of California criminal law. Those laws affect our clients every day. The stakes couldn’t be higher and whether our clients are new to the criminal system or if they’ve faced legal challenges in the past, nothing is more important to us than an aggressive and committed defense. Our clients are our priority. We invite you to contact our offices and see for yourself the difference a dedicated and committed team effort can make in your defense. Our award-winning attorneys have the knowledge and experience needed to provide the best criminal defense in Southern California. 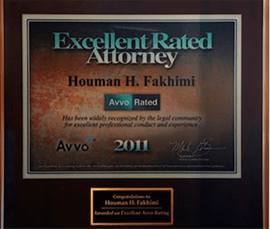 The top lawyers of Fakhimi & Associates are dedicated to protecting your freedom. When you work with an Orange County criminal defense lawyer from our law firm, we will also employ the help of aggressive research lawyers, investigators, and experts to better defend your charges. We know how overwhelming it can be to consider the many criminal defense lawyers in the Riverside, Rancho Cucamonga and Orange County areas, but you can be sure our past victories and strategic planning for the future separates us from the rest. Our founding partner is an award-winning, renowned criminal defense attorney and our team consists of a number of experienced attorneys in different sectors of the law. The moment you walk through our doors, you’re already at an advantage. You’re facing many uncertainties, isn’t it worth your time to consider who will guide you through those uncertainties? 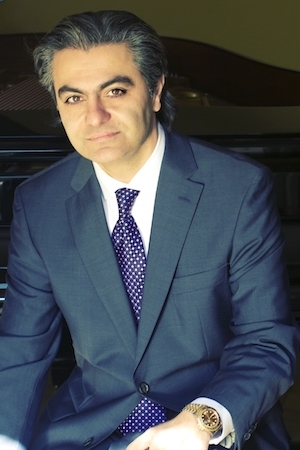 Our founder Houman Fakhimi has two decades of legal experience earned while fighting for the rights of his clients accused of crimes such as DUI, robbery, assault and homicide. His commitment is above reproach. 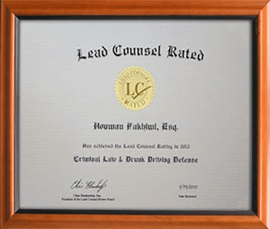 He is a proud member of several legal organizations, both in California and nationally. 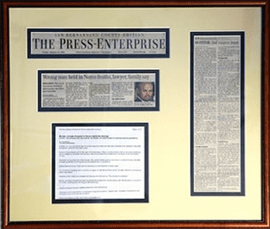 A few of those prestigious organizations include the California Public Defenders Association, the National Association of Criminal Defense Lawyers and California Attorneys for Criminal Justice. As a team, we have an impeccable record and a reputation for being formidable courtroom opponents. We stand ready to put our experience and knowledge to work for those accused of criminal activities in Riverside, Rancho Cucamonga or Orange County, CA. Our teams can find case precedence that will benefit your defense, and they can uncover facts that no one would have considered. We know the importance of expert witnesses, and we have built solid relationships with a number of legal experts who have played major roles in securing a fair trial and favorable outcome for our clients. Our paralegals and support personnel are always working, sometimes in the background, to ensure your case is ready for whatever comes next. Each is experienced in his responsibilities, and all have a shared goal of ensuring the strongest defense of your case and your freedom. You’ll get to know your team well as your case progresses. Our team of attorneys, legal clerks and researchers and their extensive experience in defending criminal cases speaks volumes about their priorities. While many Orange County law firms want to avoid criminal trials and push their clients into plea deals, you should know that it’s not always the right choice; in fact, for an innocent person, it’s never the right choice. Knowing California’s Penal Code as well as other legal statutes the district attorney or U.S. Attorneys may rely on, understanding the evidence code and federal rules of evidence and possessing the confidence and courtroom presence to impress the juries and the judges are just some of the characteristics that our criminal law firm offers. Those statutes and codes and rules of evidence are put into place to protect your rights. The difference is that not every criminal defense attorney knows how to use those tools for the benefit of his client. We do. We use them every day in courtrooms around California. Can a Criminal Defense Firm in Riverside Represent Me if I’m not in This Country Legally? Did you know that undocumented immigrants have rights in our country? It’s understandable that those who are here without proper documentation want to do anything to avoid detection, but if you are detained, you should know what will and just as importantly, what won’t happen. You won’t be deported immediately. You have legal rights. If you are arrested, it might be the federal police, such as ICE will be in contact with local law enforcement, or depending on what kind of charges you may be facing, it might be local law enforcement that contacts federal agencies. There are many national and international databases and in some cases, if ICE sees your name on one of those databases, it may file a detainer, which is simply paperwork stating its desire for local law enforcement to hold you for a specific and very limited period of time. This allows ICE to find you at a later time to explore whether or not deportation proceedings should begin. This extended time period cannot extend past 48 hours. If ICE has not interviewed or detained you, you must be released. If you’re being charged with a crime, you not only have a right to a solid criminal defense, you have options about who you choose to represent you. Take advantage of those options. You can contact our offices and our Orange County criminal defense attorneys will meet with you and your family to discuss the charges you are facing, what it means if you are found guilty and what will happen in the long term. 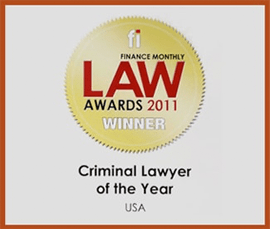 Fakhimi & Associates has represented defendants in a number of high-profile criminal cases. 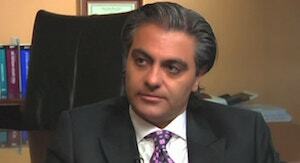 Because of the cases we handle, our reputation, and our record, Mr. Fakhimi is frequently seen in the media. He has been interviewed by Fox News LA, CBS in Los Angeles, and he’s appeared as a guest legal commentator on Insider Exclusive. 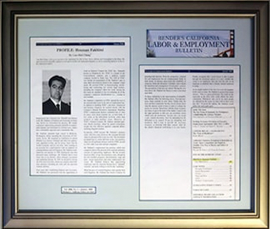 California newspapers including the Los Angeles Times frequently report on the work of Fakhimi & Associates. If you or a loved one are facing a criminal investigation or criminal charges in the Orange County criminal courts, we encourage you to contact our law offices today for your complimentary consultation. We’ll explore the facts of your case, the criminal charges you’re facing in Orange County, Riverside County, San Bernardino County or surrounding areas and then come up with the strongest defense possible. You’ll leave armed with facts and possibilities you likely hadn’t considered. When one’s freedom is at stake, nothing is more important. A public defender or attorney whose goal is to present plea bargains as often as possible to avoid facing a courtroom scenario is the last thing you need. Even the most successful defense attorneys in California can’t win criminal cases alone. Our law offices are staffed with law clerks and experienced legal research teams, including a research attorney who is on retainer. As a team, we have an impeccable record and a reputation for being formidable courtroom opponents. We stand ready to put our experience and knowledge to work for those accused of criminal activities in Riverside, Rancho Cucamonga & Orange County, CA. Call (714) 705-6701 or (909) 859-0280 to schedule a free consultation today.